Mary Heiny Sensei in Tucson! 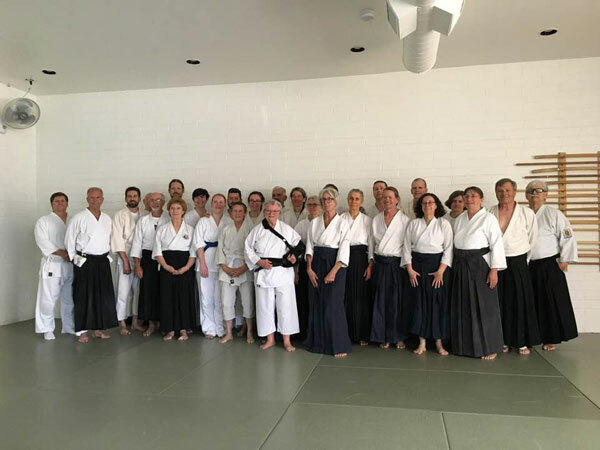 Mary Heiny, 7th dan, was at Aikido at the Center, 3045 N. Stone Ave., Tucson, AZ 85711, April 5-7, 2019. Heiny Sensei recently had surgery on her shoulder, so this seminar was an interesting look at how one does Aikido in a difficult situation! Several of our students were able to attend the seminar and joined Aikidoka from Arizona and beyond!